100% of donations will go towards the purchase and shipping of wheelchairs and supportive devices. Children across the country of Georgia desperately require wheelchairs that are fitted to their needs so that they can live more active, independent, and healthy lives. Tragically, fewer than two in every ten wheelchairs in Georgia are currently fitted to the needs of their users. As a result, thousands of Georgian children continue to suffer preventable health issues, physical deformities, and loss of independence. With your help, McLain Association for Children can start placing these children into wheelchairs that are right for them. Together, we can offer each of these children the chance to reach their full potential. 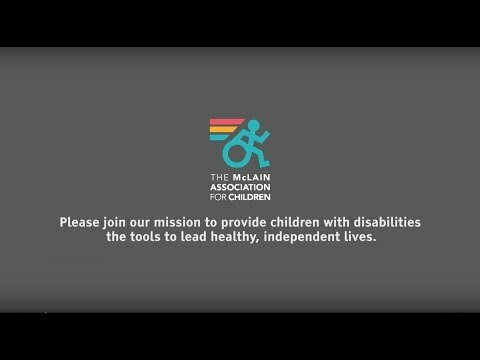 Join our effort to provide children with disabilities the tools to lead healthy, independent lives. Your donation of $300 to $500 will provide a complete wheelchair to a child (device costs vary depending on the severity of the child’s needs). Your $100 donation will provide a back support system that can adapt as children grow and prevent or slow the progression of many spinal deformities. Your $50 donation will provide a pair of adjustable side panels that can fit to most any wheelchair to provide support and structure to a range of disabilities prominent in Georgia. Your voice can inform others about this campaign. Please spread the word!